Data Deluge: And how the One of Time, of Space the Three, Might in the Chain of Symbols girdled be. And how the One of Time, of Space the Three, Might in the Chain of Symbols girdled be. Perhaps the most notable of all the Royal Astronomers of Ireland, and Irelands greatest mathematician, was Sir William Rowan Hamilton (1805-1865). In addition to his work on optics, mechanics and mathematics he invented quaternions in 1843, a key step in the development of modern ideas of four dimensional spacetime and quantum mechanics (a fundamental element in quantum mechanical calculations is known as the Hamiltonian). Hamilton was a child prodigy and he was appointed to the Andrews Professorship of Astronomy in the University of Dublin when he was just 22 (before he had even graduated). 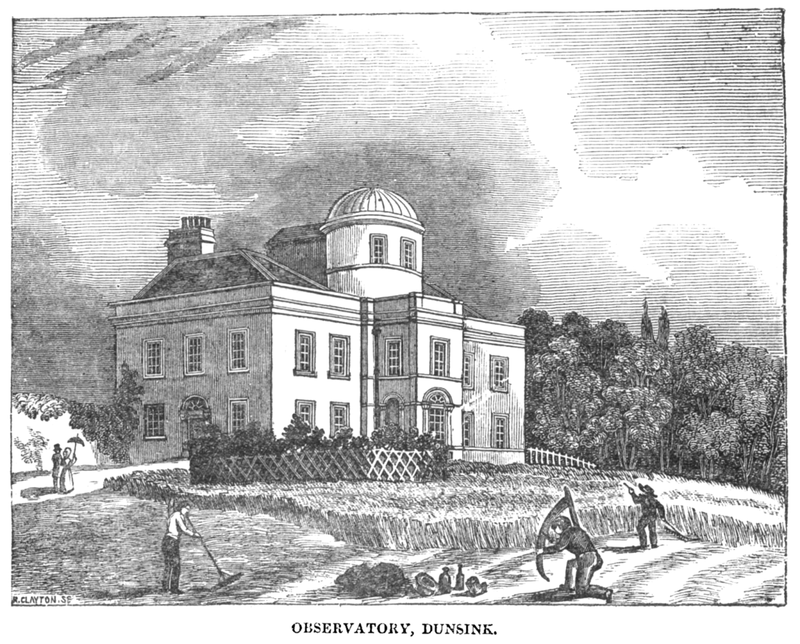 He moved to the Dunsink Observatory near Dublin and lived there for the rest of his life. Dunsink Observatory is about four miles north-west of Dublin castle on a low limestone hill with a view south to the Wicklow hills; ...It is a handsome building, presenting in front a facade of two wings, and a projecting centre, crowned by a dome. Hamilton did not have the happiest of private lives and died in 1865 after a severe attack of gout.